Correct Wheel Sizes, PCD, Offset, Rims and Tire specs for Volkswagen Passat CC series. 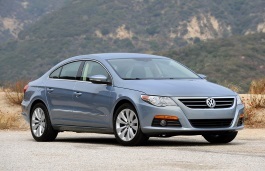 Can you fit 22 inch rims with low pros on a 2009 Volkswagen CC? what would I have to do to make 22' staggered rims fit on my 2009 vw cc? and if I cant, what is the biggest size that will work? could I put 22' on back and maybe 21' or 20' on front? Can staggered my rims without screwing up my car..It already sits low..
Hi, Vuli,The tire you can try 215/35/20 for the rear and 205/35/20 for the front. Will a set of 20x9 wheels (A7 10 spoke replicas) with low profile 215/35/20 tires for on 2009-2011 stock CC VR6 4Motion (no suspension modification)? Hi,Yoli,213/35/20 can fit for your car.20*9 is little large but it is accessible. Will 19x9.5 front and 19x10.5 rear work if so how do you maintain? Also what adjustments or tweaks would I need to do? I have passat cc blue motions and come With 235/40 R 18 but in my town we dont have good roads, the low profile tyre is not good, i can put 235/55 R 16 ??? For a 2011 CC - can you mount a 16 inch wheel (205/55/16) or it will have issues with the brake pad? ... I have the original R line 18 inch wheels but I want to use a 16 inch as spare. Hello I have a 2000 vw Passat can i put Audi a7 20in stock rims on my Passat? Hi,Willie,No,They have same bolt pattern but have different offset and center bore size.It can't fit for. Hi,Jason B,No,245/35/20 is not compatible for your car. Can I put on 17 inch set alloy rims 5*112 tire size 225 50 17 . I kno original tire size shoud be 235 45 17 but I allready have this size. Thanks. Can I fit a staggered set up 19x8.5 front and 19x10 et35 with 265 30 19 tires in the rear? can I put 275 30 19 on the rear of 2011 vw cc I have 235 45 17s now? Hello. 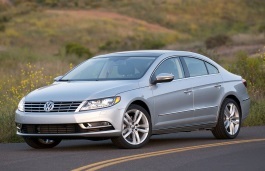 I have a 2013 VW CC. Cani fit 235/55/17 tires on it? Hi, Bablo,What the current tire size of you vw cc? My current size is; 235/45/17. Hi, Bablo,No.these two tires are not compatible.Try to find other tires. Hy !!! Can ai put 235/40/19 wheels or 235/45/18 on my passat cc 2.0 170cp ? Hi,Rares,What your current tire size?I can help you confirm it. Hi,Devon jenkins,what your current tire size? Hi,Devon jenkins,No,these two tires are not compatible. Hi, I have Passat CC 2012 2.0 170bhp with current tyres of 235/40/18, can put 235/45/18? Hi,Richmond,No,these two tires are not compatible.